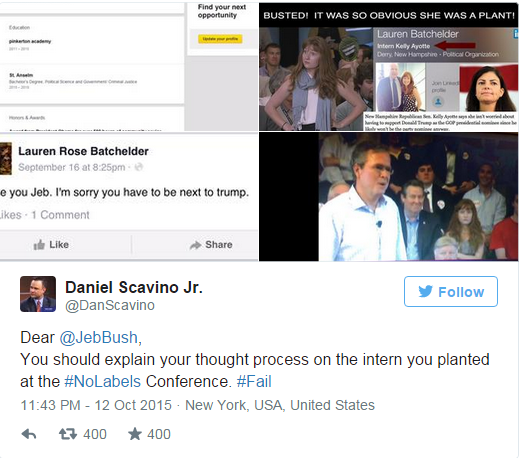 Uh oh… somebody got caught putting a plant in an audience to trap their rival and his name is Jeb Bush. Tsk.. tsk… the Joyful Tortoise is playing dirty politics. Who knew? Just about everyone, I bet. Yesterday at the “No Labels” event put on by Jon Huntsman, Trump spoke to a semi-hostile crowd. Now, first off… I don’t even know why Trump bothered going there. This is a group of ‘moderate’ Republicans. Let me translate – they are liberals pretending to be Republicans. They are progressives on the right. This is right in line with what I would expect them to pull. 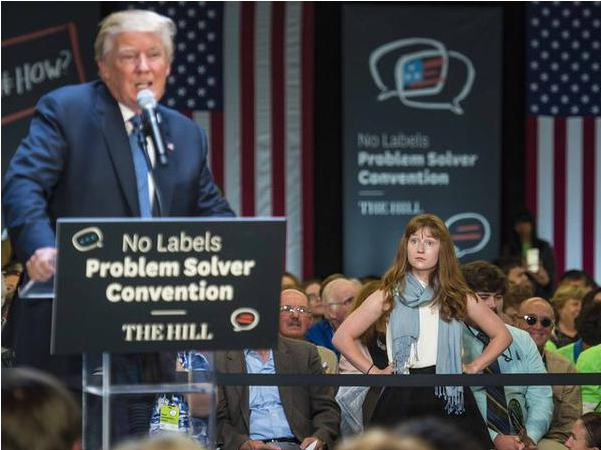 A female in the audience started grilling Trump on his political stances. 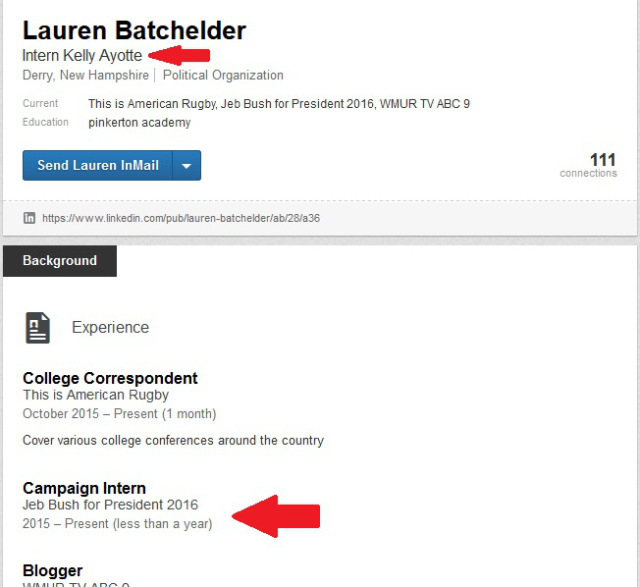 That woman was Lauren Batchelder, who is a paid operative of the GOP and a staff member of Jeb Bush’s campaign. Busted! Our intrepid female troll diligently tried to erase her social history off the web, but it was too late. The Conservative Treehouse got all her history and info. 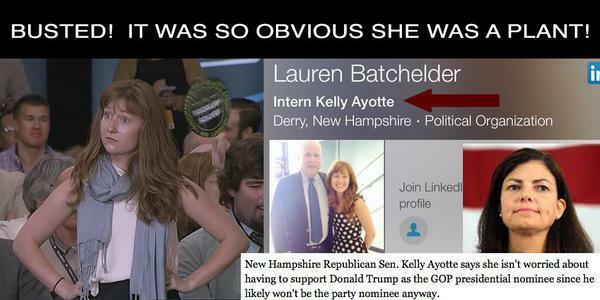 and alas, she has been outed for the fraud she and Jeb both are. I agree with the above article that Marco Rubio is basically an arm of the Bush campaign. This shows just how low Bush will stoop because he fears Trump. His true face is beginning to show and it is not pretty. By the way, it’s ridiculous to say Trump is not a friend to women. Quite the opposite – he has many high-level female executives and was doing it long before it was popular. This whole war on women meme is a liberal tactic and a bunch of bull crap. 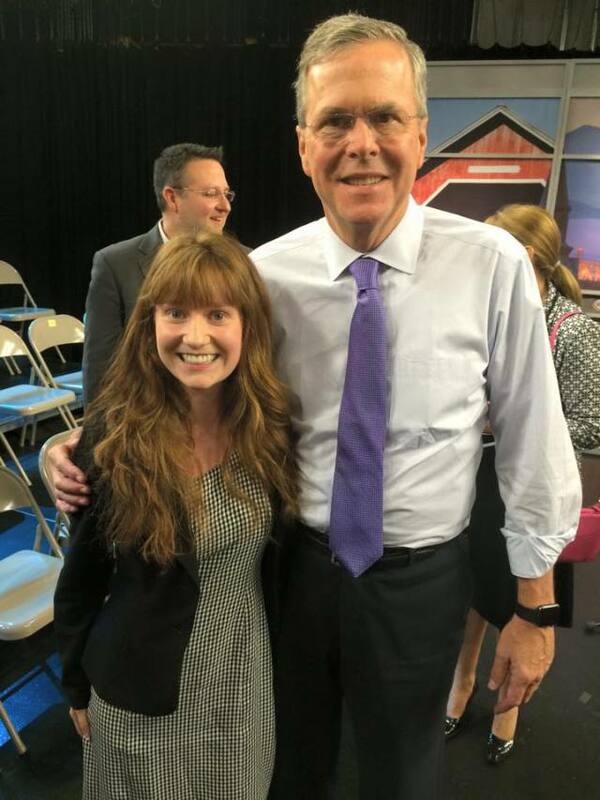 Of course Bush will deny she’s a plant – he’ll say she was there of her own accord. But does anyone believe that? If you do, I have some really great property for you in the Bayou. Fail.